Synopsis: Lainey wants more than anything to get a high score on the SAT and go to a good college. Unfortunately for her, a 300-year-old witch has other plans. When Lainey discovers her life is more tied to the supernatural world than she ever imagined, it seems those college applications might have to wait. Review: This book may well mark the beginning of a return for urban fantasy/paranormal romance. It’s been so long since I’ve read an urban fantasy from a debut author, but this book has the feel of a YA fantasy from the height of the paranormal romance craze. I know several people who’ve been longing for this comeback, especially for witches. If you’re one of these people, this may well be the book for you. That said, it drew a little too much inspiration from the books written during the paranormal romance craze for my tastes. There were a lot of tropes used in familiar ways, and it reminded me of a lot of books I’ve read in the past. A great deal of the aforementioned tropes used are not favorites of mine either. For example, I’m not a fan of novels where a character discovers they’re special because of something an ancestor did centuries ago. Yet, despite this, there were some elements of the book I enjoyed. It seemed atmospheric with a good sense of place, and I enjoyed that Lainey was worried about things most teenagers worry about, like the SATs. I think this would have made the book a lot more relatable when I was a teenager. I would have loved this book around seven years ago. As it was, I had difficulty motivating myself to keep reading. I suspect this was due to the story’s familiarity and the fact that I didn’t connect with Lainey as well as I would like. Rating: People who who’ve been longing for YA paranormal romance and those who are looking for a gateway book to the genre may well love this book. However, it was not memorable or engaging enough for me to give it a high rating. What’s your opinion of paranormal romance? What’s the best urban fantasy you’ve ever read? 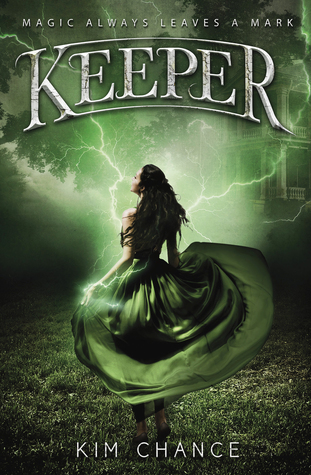 Are you planning to read Keeper? This image is derivative of “Silver Vintage Mist Overlay” by Pink Sherbet Photography from Utah, USA. “Silver Vintage Mist Overlay” is CC BY 2.0. Synopsis: Far is the son of a gladiator and a professional time traveler. The first baby born outside of time. Top of his class. At least Far was, before his failed final exam shatters Far’s dreams of following in his time traveling mother’s footsteps faster than his cousin’s gelato can melt. Far’s only hope is a handwritten note from an unknown sender promising him a second chance. Far’s present is not a time of second chances. The sender could be anyone, yet Far knows this is the sole remaining possibility to fulfill his time traveling dream. Review: This was a great light read to pick-up between the dense epic fantasy novels I’ve been reading and the additional ones I’m planning to read in the future. That said, the novel itself contains several common time travel tropes. Having consumed my share of time travel related media, the world-building and plot twists, for the most part, weren’t all that surprising. The heart of this novel was instead the characters and its addictive nature. I’ve been in a bit of a reading slump as of late, but I found this to be a hard to put down read. While I do stand by what I said about most of the plot’s elements being ones I’ve seen before, there was one plot-twist that surprised me. This has more to do with this twist introducing tropes from a sub-genre that I didn’t expect to be incorporated into this novel than anything else. Still, mixing sub-genres is a legitimate strategy, and the details of this twist fell into place once the author explained it. Returning my attention to the characters, they have a great dynamic that only tends to come about in third-person-multiple point-of-view novels (which this is). Funnily enough, this is a characteristic I’ve noticed also reoccurs in novels centering around a heist. This novels characters also happens to be thieves. I don’t know what it says about fictional criminals that they have such great group dynamics. This novel is one of those hard to pull off cases where the many points of view remained distinct and never got confusing despite the several main characters and the frequent shift in perspective. This leads me to another great aspect of this novel: it is easy to follow. So many time travel novels have timelines that are difficult to keep track of. I didn’t have that problem at all with the main story here. I remained clear on what was happening in the story itself even throughout times when the characters weren’t sure themselves. The other greatest aspect of this book was that the main characters have a domesticated red panda. Too bad domesticated red pandas don’t exist. The rest of us will have to keep observing from afar. Rating: This book was great fun, but it wasn’t anything revolutionary. 4 out of 5 blue jays. If you’re looking for a fast paced time travel heist novel this might be the book for you. 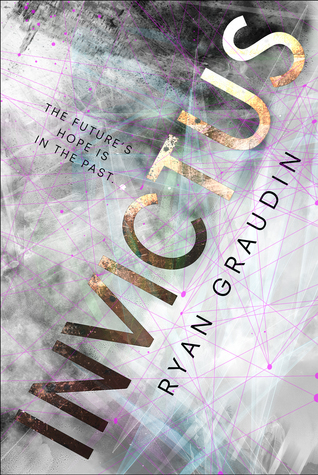 Have you read or plan on reading Invictus? What’s your favorite time travel trope? Are red pandas cute or aren’t they cute? Please add a disclaimer if your comment contains spoilers. 4thewords is a site that aims to make writing into a video game. It accomplishes this through users battling monsters and completing quests by writing words. The game provides a variety of monsters to be defeated by writing a certain number of words in a given time period. Both these and the quests can be ignored by clicking on the “write” menu tab instead of the “play” menu tab if a user chooses to focus on writing instead of the game. The site costs $4 per month but can be lowered through the use of core crystals. These can be earned in the game and used to extend your subscription. I decided to use 4thewords’s 30 day free trial this month while I completed my Camp NaNoWriMo project. The experience has been good overall. I think there are a lot of people who will find the site useful. However, I’m not sure whether or no not I will purchase a subscription in the future. My favorite aspect of 4thewords is the way it makes writing feel as much like a video game as possible. The monster battles and rewards for writing are great motivation. For me personally, my hesitation about whether or not I will purchase a subscription comes down to the fact that I’m not sure these features are enough to make me willing to pay $4 a month for the site. I have a good system in place already for writing first drafts. The monster battles are, in essence word sprints. There are other methods I can use for free to mimic the monster battles through word sprints without paying. At this point first drafts come easily to me, the real challenge lies in finding a way to break down the editing process in a similar manor to how this site breaks down first draft writing. This site doesn’t help with editing. This would be different for someone at an earlier stage in their writing journey. This site would have been invaluable when I was still at a point where I struggled to stay focused long enough to finish a first draft. Where I would find 4thewords more helpful today is in writing something I don’t want to. The trouble with using it to write my novel is that fiction writing is something I really want to do. This site would be more useful motivation for writing things I don’t want to. For example, this website could make writing a thesis or lengthy essay a breeze. Since starting this project was something I wanted to do more than almost anything else in the world, I found the extra features distracting. Everything was easy to figure out, but even with this simple adjustment period I at first found these extra features annoying because I had to figure out how I could work past them to do what I wanted: start writing. I came to love the monster battles for their word sprint like nature but at first found the monster battles annoying because I would become so absorbed in my project that I would forget that I’d started the battle. Again, I think this would not be a problem for someone less motivated than I was to work on their project. It’s obvious to anyone not 100 percent absorbed in their project to tell when a monster battle is taking place. As I continued to work on my project, my motivation dropped and I gained more appreciation for some of the sites features. I adore the way that the site uses a streak to encourage writing every day. The streak led to me writing on days when I would have otherwise told myself I didn’t have time because I didn’t want my streak to go away. On the other hand, the most annoying feature of the site is the way it saves projects. Each scene has its own file. This isn’t the problem. In fact, this makes it easier to work with long projects. The problem was that there seems to be a limit on how many chapters a project can have, which my work in progress greatly exceeded. The site also doesn’t automatically add new scenes to the end of the document. Instead, I had to drag the new files I created into place. The site is also slow to update the number of words written and keep track of it’s countdown clock. When I’m battling monsters, the section labeled “time left” almost always reads “00 h 00 m” no matter how much time remains. Luckily, the end time shown underneath of this battle remains accurate. I’m used to using writing programs that update in real time. The 4thewords site has a three second delay. This leaves me confused as to why my word count doesn’t go up as soon as I type a new word. The best aspect of the site’s word count feature is that it keeps track of the total number of words users write even if they delete them while also keeping track of the number of words that are actually in the document. I’ve never used another writing program that does this. It gives me a clearer idea of what I’ve accomplished each day. This isn’t the site’s only means to keep track of how much a user writes each day, the progress calendar allows users to click to see how many minutes and words were written on a given day. I find this inspiring. It leaves me in awe to know for certain that I’ve already spent over 24 hours working on my current novel length work. I’ve never had the amount of time I’ve spent on my projects laid out so clearly before. I’ve never applied my rating scale to anything other than books before, but have chosen to give 4thewords a 3.5/5. If it were cheaper and the glitches went away I could see myself giving the website a higher rating. I think the website is the motivation many writers need. However, I already have a system in place that works, so it’s not worth the cost for me personally. I’d also like to point out that this site is currently in early access mode. This means there could be many improvements still to come. Keep that in mind if you’re reading this review long after it was published. What writing sites and programs do you use? Do you use or plan to use 4thewords? Should I review more writing software? Synopsis: Lazlo Strange has spent his life recording the mystery that is the unseen city of Weep. Even its name is lost. Lazlo heard the name stolen from his lips when he was five years old. Lazlo longs to leave his life as a librarian behind and search for Weep. Yet, Lazlo is only a dreamer with no resources. Until one day when Lazlo’s dream comes to him by way of visitors from the city of Weep itself. Unfortunately, Lazlo’s dream seems determined to disappear again without him. Lazlo must find a way to meet the visitors from Weep before their departure, or Lazlo will loose the chance to fulfill his dream of visiting the unseen city forever. Note: I received buttons and sample chapters from the publisher. I bought the book itself. Opinions are my own. Review: I read the first few chapters in a sampler from BEA and fell in love. It took me a little while to get to this book when first it came out because I was so busy at the time. By then it had been so long since I’d read the first couple chapters I had to start from the beginning. It took me a little while to reread the first couple chapters. Not because they were boring, but because I’d already read them and still had a lot happening in my life. The novel is written in third person omniscient point of view, an unusual choice for young adult novels. The author shows each character’s motives well. Each character is so distinctive that I never got confused about which character the story was following. The two main characters are Lazlo Strange and Sarai. Lazlo is an orphaned librarian who’s spent his whole life dreaming and writing books about the lost city of Weep. Sarai isn’t introduced until about a forth of the way through the book. My least favorite part of Strange the Dreamer is the pacing. It wasn’t enough to be off-putting for me as I still loved so much about the story. However, there were times when I felt like skipping pages because I wanted to get to the more action based scenes. This is especially true with regards to the romantic story-line. This is one of those books where I wanted to see less romance and more action, but then I almost always want that. Maybe that’s just me. The slow pacing continues until about the last fourth of the story where everything starts to happen at once. The ending is a cliffhanger, but one that I knew would happen for most of the book. The plot itself is rather predictable, but there were enough elements that left me guessing that I was still entertained. While I loved the description of the places and the world itself, there were certain world building aspects that I didn’t like. The magic system is one in which magic resembles superpowers. I’ve seen this form of magic system done often. The world building also draws on familiar tropes and legends. For example, Weep reminded me a lot of Atlantis or many other mysterious cities explorers set out to find. The people of Weep are also much more ambiguous than the city itself. I got the sense that Taylor was trying to keep the people of Weep as vague racially and culturally as she could so that she would not appear to draw her inspiration from any one culture. That said, I still really enjoyed reading this book. Rating: I recommend this book to people who love beautiful language and great character development, but can handle slow pacing. Note: An advanced copy was provided by the publisher, but opinions are my own. Lila and Elias must work together in order to free Lila’s brother from the most secure prison in the emperor. Along the way their own freedom will be threatened. They must free Lila’s brother while trying to avoid being captured or put to death themselves. 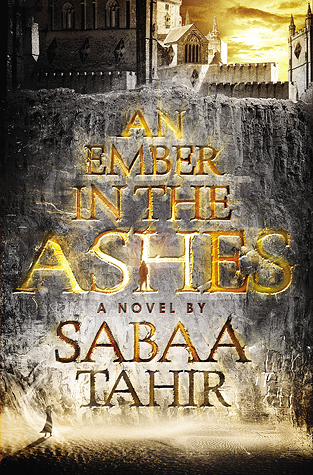 Thoughts: The second installment in the An Ember in the Ashes series proved a fast paced, engaging read. My favorite part about this book was the author’s use of tension. I couldn’t wait to see what was going to happen next particularly since it seems Tahir has no problem with killing characters off. One think I would have liked to know going into this book is that this is not a finale. I heard somewhere that this series was meant to be a duology, but it is most certainly not. I ended the book very confused as to why everything felt so open ended, but learning this book is the second in a series made a lot more sense. I still felt the magic system wasn’t fleshed out all the way, but there was more of it mentioned in this book than the first one. It was nice to see more magic in this book, and I hope there will be more of it in the books to come. The magic system doesn’t strike me as particularly original, but it’s still a change from the element based magic systems that seem to dominate recent fantasy releases. My main gripe with this book is similar to the one I had for the first book in the series. That is to say I didn’t find the story sticking with me long after I read it. Rating: This is a great book for people looking for a fast-paced read or need something to get out of a reading slump, but I didn’t find it particularly memorable, so it gets 4/5. Synopsis: Laia is willing to sacrifice everything to rescue her brother. Including her freedom. When Laia agrees to work on an undercover operation for the resistance, in which she must work as a slave for one of the most powerful women in the empire, the last thing she expected to find was a kindred spirit in her master’s son Elias. 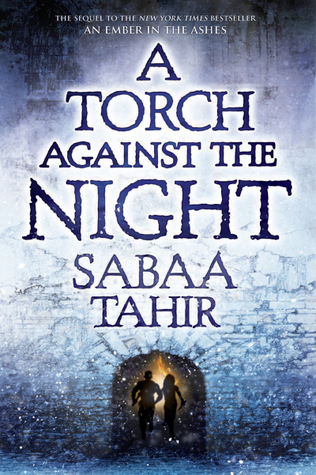 Elias wishes to be free of his obligations to the empire about as much as Laia wants to rescue her brother. Together they might just succeed. Thoughts: Since I’ve read an ARC of the sequel, to be released in August, I’ve decided it’s about time I sort out my confused feelings towards this book so I can move on to writing an advanced review of the sequel. This book is addictive. I started listening to it on the last day of a road trip. When I got home that night at about 9 PM, I could not get to sleep until I’d searched my house for my physical copy and read it the rest of the way through. I’ve read a number of reviews in which reviewers say this book got them out of reading slumps, and I can see why. It’s next to impossible to put down. The timing was also perfect for me to read this book at the time that I did, exactly halfway through The Way of Kings. Most people who read my posts are probably aware that Brandon Sanderson’s Stormlight Archive series (the first book being The Way of Kings) is one of my favorite series, but even I started to feel a little discouraged about halfway through the first one because the book takes so long to read and I felt I wasn’t getting anywhere with it. Reading this book so quickly encouraged me to finish The Way of Kings, and I’m glad I did. The society depicted is one that encourages blood lust, and one of the protagonists is a slave. It could have been unrealistic, or even disrespectful to glaze over the violence. However, there was a particular act of violence between characters who trusted each other that seemed to be crossing a line, and made me lose some respect for the characters’ in turn. In the time since I’ve finished the book my confusion with regards to how I feel about this story has only grown. The story doesn’t standout in my mind from all the other YA epic fantasy books I’ve read, and therefore hasn’t proven all that memorable. I’ve come to the conclusion that the reason this story doesn’t stand apart for me is its usage of many common tropes in a way I’ve seen used often before. The magic system didn’t seem particularly unique, and felt largely unexplained in this first book. The element of having magical masks that permanently adhere to peoples’ faces also brought to mind a number of questions in my mind while reading with regards to sweat, dead skin, and shaving. The story also followed a familiar formula with the novel being arranged around a series of trials. The familiar elements of the story helped make it a quick read, but also made the story somewhat forgettable. Rating: I recommend this to people who need a break from lengthy books, are trying to get into reading fantasy, or are trying to get out of a reading slump, but it is not a thought provoking read. Synopsis: Just hours after their recent break-up, exes Kady and Ezra find their home planet in the middle of a war between intergalactic corporations. In the evacuation the two find themselves on separate space ships. If they want to survive Kady, Ezra, and the other refugees need to reach the nearest jump station, through which they can reach a more densely inhabited region of space, before those who invaded their planet catches up with the refugees. Review: At first I had a hard time getting into this book. Adjusting to the formatting was a bit of a challenge, and months at a time passed in a matter of pages. “At first I was having trouble getting used to the constantly changing formatting, it can be jarring at times, but now I’m really starting to get into the story and the pace has really sped up. However, I think the pacing picked up for me at an earlier point than I noted in that update. It was likely around page 250 or so. With the formatting the way the novel built to a climax was necessary to give the reader time to adjust to the formatting before everything started happening at once. For those who think that this book is long with its length of nearly 600 pages I would like to remind them of the formatting. Had this book been written in the standard form of a novel there would likely have been much shorter. I had a slight problem with some of the times technology was mentioned in this book. The characters had cars, a subway system, and tablets. It seemed as if at times the only technology that had progressed were weaponry and spaceships that allowed for long distance space travel. Considering that this book is supposed to take place in 2575, or over five hundred years in the future, this threw me out of the story a little. This is, however, a minor concern. Due to the way the story was narrated these objects were not described in detail and may have born little resemblance to their 2016 equivalents. As this story takes place almost entirely on space ships in an isolated part of this fictional future, the reader isn’t told as much about the way the government functions and other habitable planets. I think this was a good choice on the part of the authors as it allows the reader to become slowly immersed in the world-building as opposed to having the need to learn everything all at once. I hope to see more world building in the sequel. I ended up reading this book twice. Once in physical form and then again in audiobook format not long after. This is unusual for me. What Readers Should Know: This book contains many character deaths and zombie like individuals. All of the cursing in the physical version of the book is censored, but in the audio book the first and last letters of most of the curse words is not censored making it easy to tell what all of the censored words are. Rating: This book started out a little hard to get into, but the second half made up for this.